Got this for my daughter. Don’t be fooled. It’s not a book. 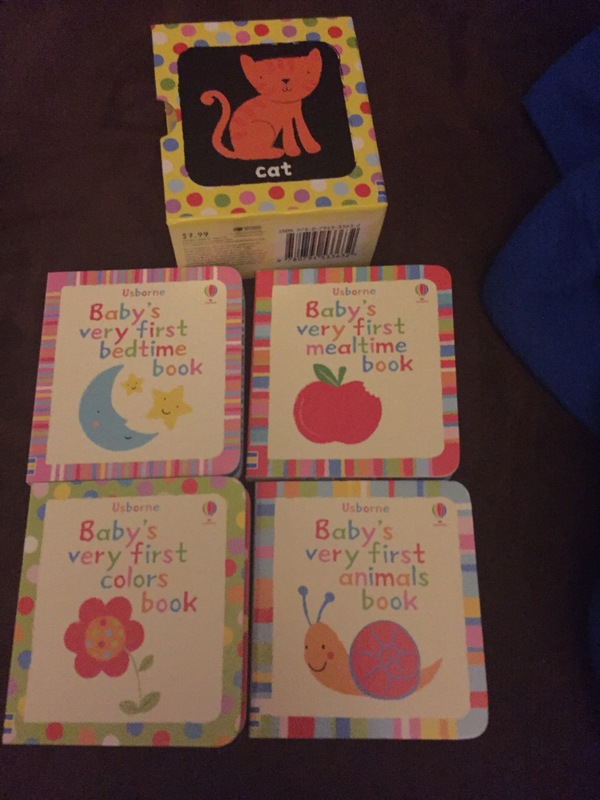 It’s a series of books starting with Baby’s Very First Bedtime. The adventure starts at night with the moon. This is fitting as reality seems like a dream. Am I awake, sleeping, in between? These experiences of the transcendent and the transitory are fundamental to being human! The story also includes toothbrushes, a trip to the stars for future scientists, self-referential breaking of the forth wall, and finally the exhausted protagonist going to sleep. The next book is about mealtime, as though the young dreamer escaped from the prison of reality into a dreamscape of delicacies and delights. From this book a child not only learns implicit information about the life-cycle of many creatures starting with an egg and growing from there, but encoded in the story is a deep reflection on etiquette and nutrition. For instance, the only food that is shown eaten is a cookie, but only one bite is taken, indicating that the other foods, untouched (unbitten) by processing are a healthier choice. The bowl appears before the spoon. Portion, serve, then eat. Indeed! And endless abyss of learning and leisure awaits! The third book, “Baby’s Very First Animals Book” opens with a bang. It juxtaposes nature’s sweetest animal (the lamb) with its most violent (the penguin…seriously look up penguin gang behavior…or spare yourself and don’t). Next it shows the mouse and the cat, rabbit and lion, monkey and chicken, duck and dog. Each showing the Jungian dualities within each of us, our ego must choose between persona and shadow…whom do we choose to be? In this book you find Nietzsche and The Iron Giant rolled into one mega epic. For the finale: Baby’s Very First Colors Book. Here baby learns that all things end. The sun comes up, just as the moon in the first book. But two of the characters, ice cream and snow man must melt in these conditions. This is sad, but it reminds us that joy is fleeting in most conditions. The story ends with a beautiful fish being hunted (haunted?) by a black cat. Does it pounce? We’re left with a cliffhanger. Why? We must choose. Our children must choose how the tale ends each day of our fleeting lives, as we, like snowman, may melt at any instant! Five out of five stars. Would read again! Bravo!